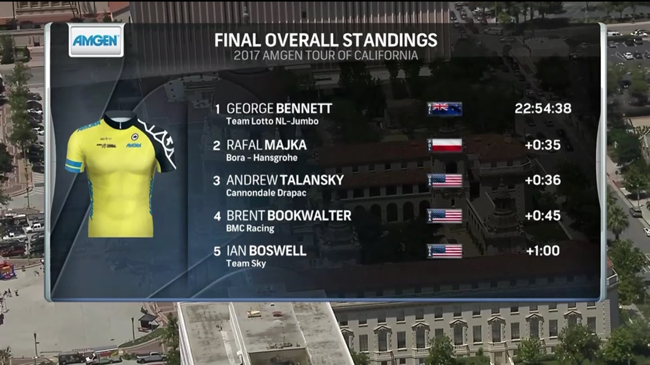 George Bennett Wins a Great Tour of California! It’s hard to believe that America’s biggest stage race, the AMGEN Tour of California (ATOC) has just finished its 12th year already. This little race has grown into one of the best races in the UCI WorldTour series. The lineup has gotten better and better each year as professional teams around the globe bring their best and brightest riders. Because of the increasing interest in the seven day race and the scrappy American teams defying standard protocol, this tour is more and more wide open each year. Two times in the seven stages, the peloton misjudged the breakaway’s lead – something you never see in the European tours. 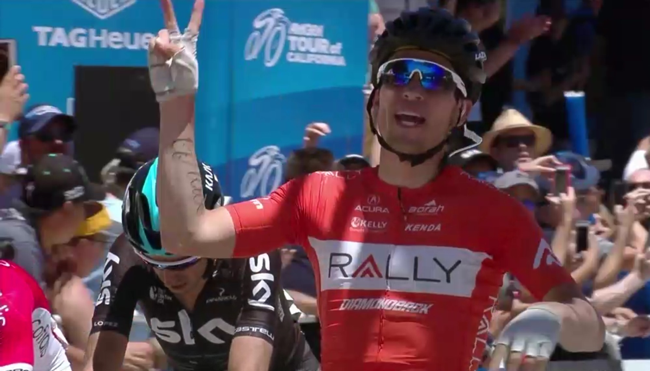 This year’s ATOC saw the Wildcard American team Rally put riders in the breakaway almost every day with Evan Huffman winning two stages and finishing second for the Sprint and King of the Mountain jerseys. Australian, George Bennett (Lotto-Jumbo) got the tour win and fellow Aussie, Lachlan Morton (Dimension Data) rallied to regain the Best Young Rider jersey on the final stage. Some other interesting notes: Team Sky won the team standings despite not really doing anything of note individually (consistency counts.) One of my all-time favorite riders, Peter Sagan stretched his record for most stage wins in ATOC history to 16 with a Stage 3 sprint victory. He also won the Sprint jersey once again. This tour included action on every single stage – there were no easy days and no ceremonial celebratory rides on the final stage. These four fought it out for seven stages – what a race!